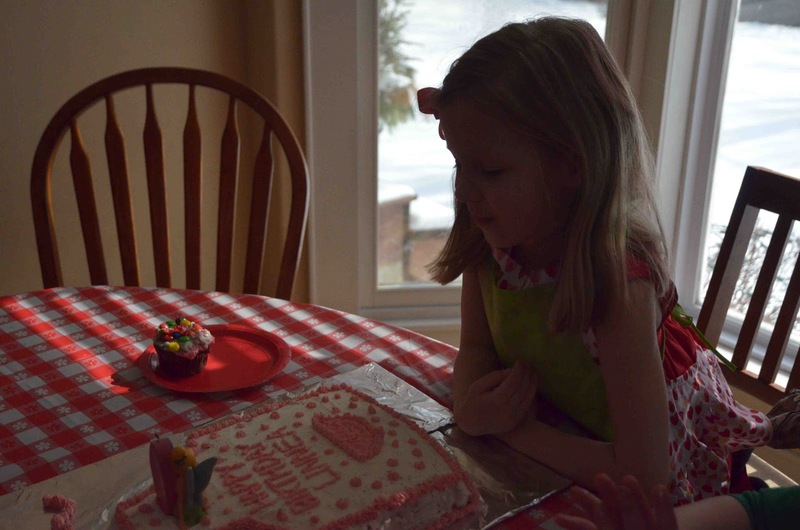 Wow... five months. 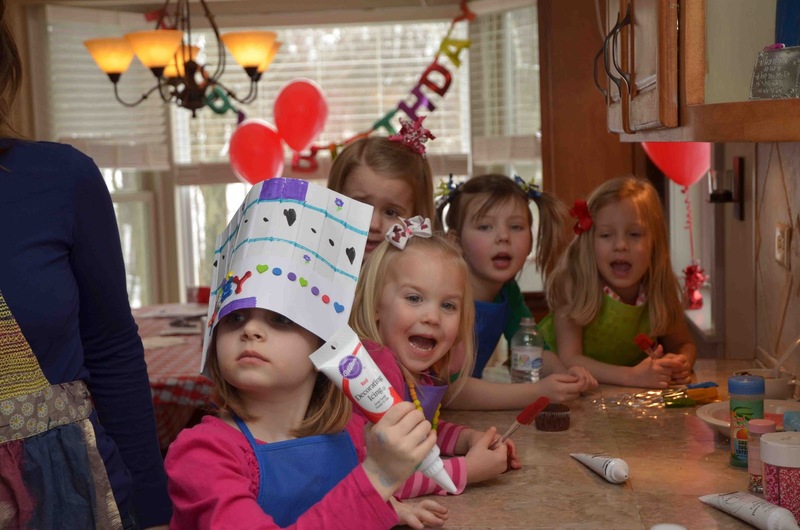 That's crazy. And what finally gave me the "umpf" to post again was the desire to share photos with folks interested in seeing Linnea's first "friend" birthday party... without resorting to crashing their in-boxes or Facebook. 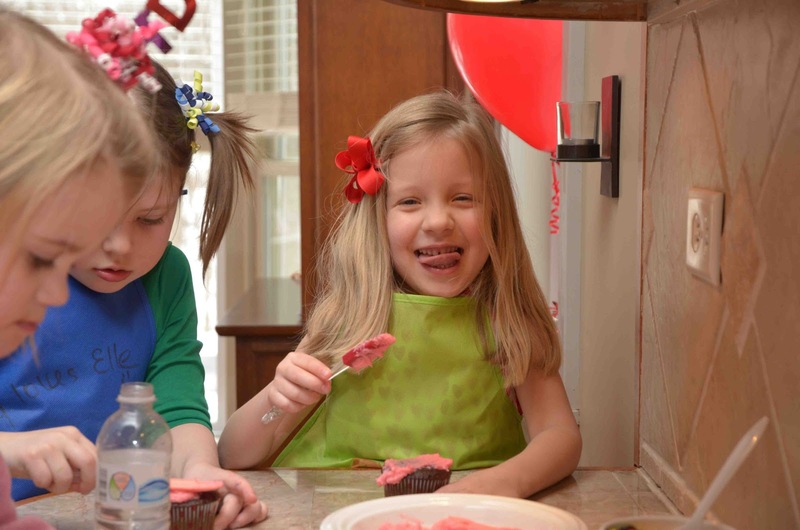 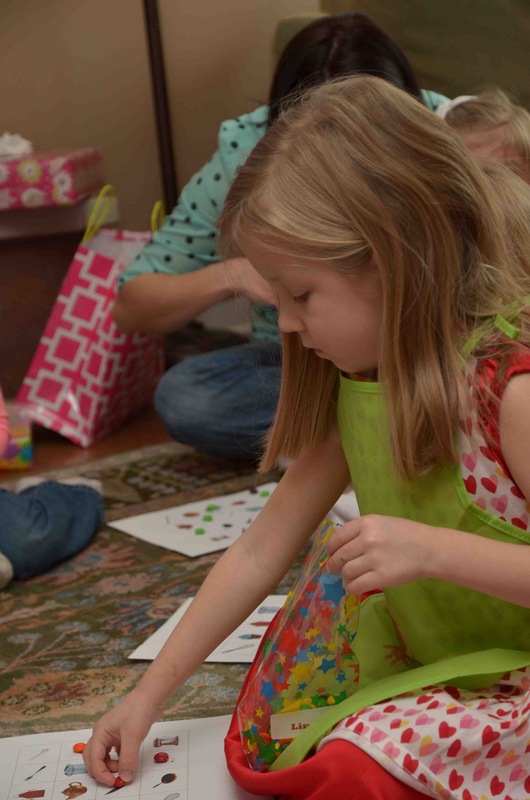 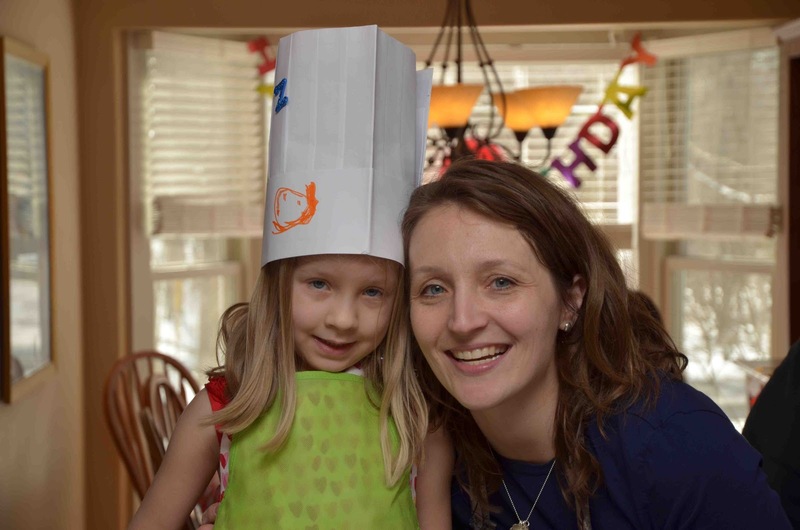 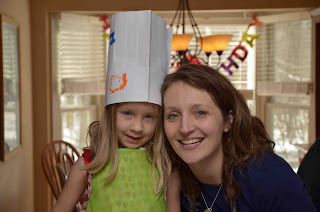 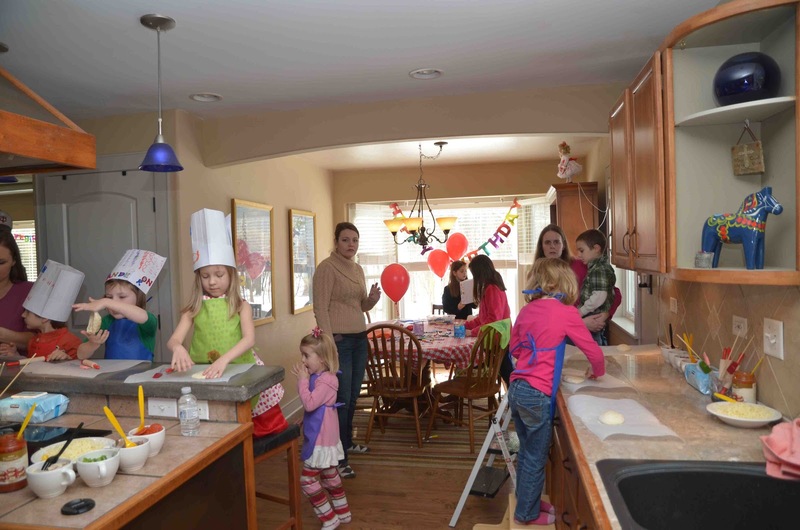 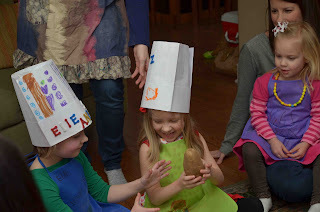 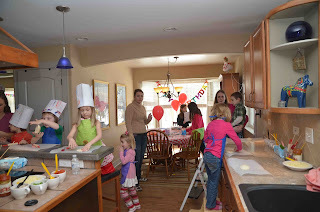 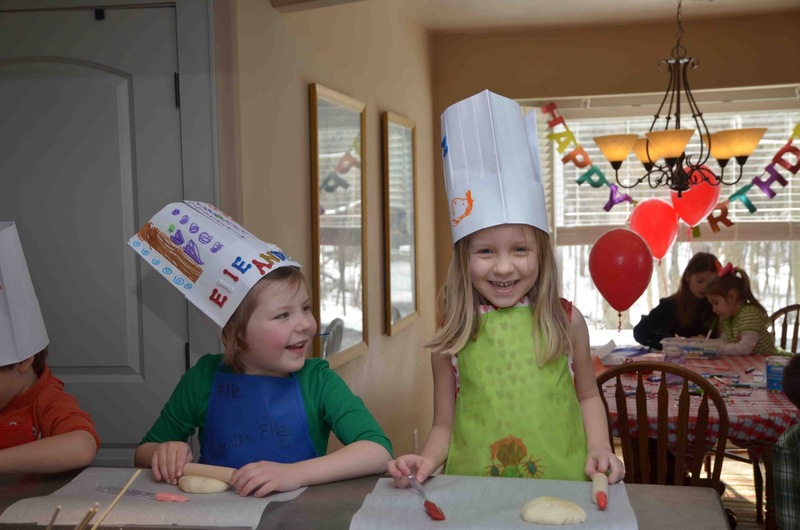 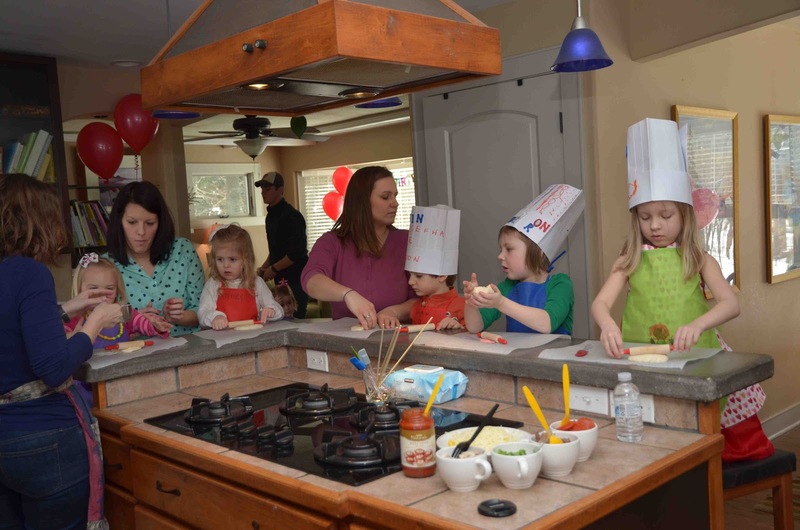 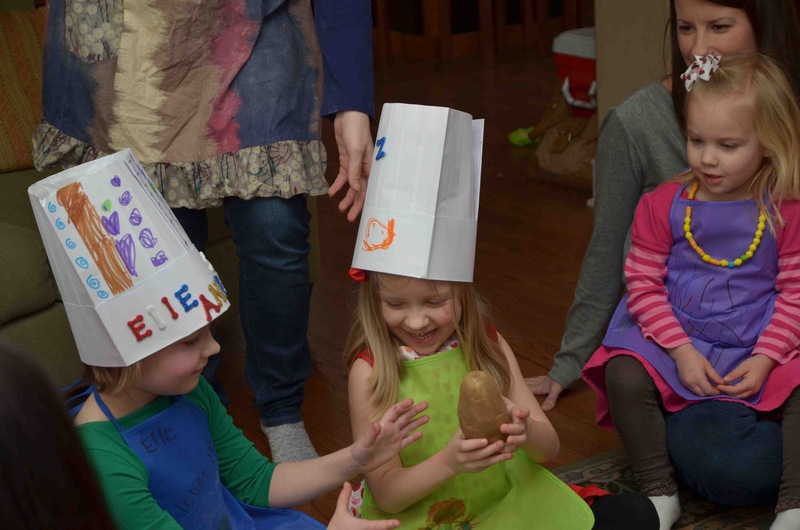 So here it is - last Saturday's "cooking party" in honor of Linnea turning five! 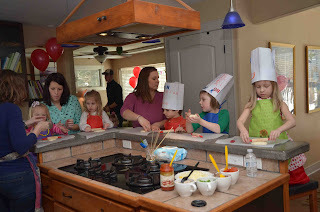 First order of business for Linnea & her guests, after decorating their aprons & hats, was to set to work cooking their lunch - personal pizzas and "salad on a stick." 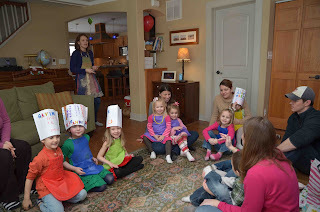 While the pizzas baked, it was game time! 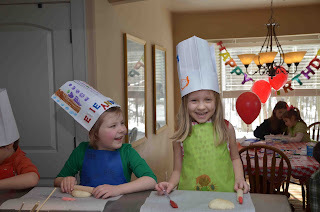 followed by the birthday cake (apron-shaped) and presents. 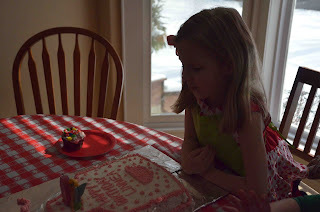 Such a special day with my special big girl... where has five years gone?!? !